Sun in Cancer will do his utmost to protect Moon in Libra, and Libra will enjoy every minute of being fussed over. But airy Libra would rather keep things nice than rock the love boat with sloppy emotions. And watery Cancer is the king of emotions. Sun in Cancer is profoundly empathetic. He feels what his lover feels, and combines this with an overwhelming urge to protect. Once he lets a lover past his protective shell, he can be almost aggressively nurturing. This stems from his urge to be needed; having someone depend on him gives Sun in Cancer a purpose. But when he overdoes it, Shadow Cancer can emerge as a clingy, smothering partner who fears abandonment. Moon in Libra needs a relationship. She simply does not feel whole unless she has a partner with whom she can share experiences. But she also needs harmony; while this can appear to give her a core of perfect serenity, Moon in Libra will often skate away from deep emotional exchanges. Shadow Libra will suppress her own needs to please her partner, and a passive aggressive jab is usually a sign that she’s resentful about this. Initially, these two will seem like the perfect match. 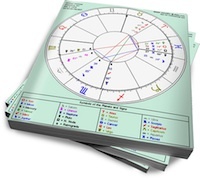 Sun in Cancer craves domesticity, and Moon in Libra will help him create the perfect home. He’ll be attuned to her need for tranquility, and Libra will respond by reflecting Cancer’s nurturing back at him. But tensions will arise when Libra starts to cringe inwardly at Cancer’s emotional displays. And Cancer will feel insecure when he senses Libra’s discomfort with the depth of his nurturing. He’ll interpret this as rejection, but the truth is that Libra will just be wary of becoming unbalanced. Moon in Libra is capable of loving someone very much while still being uncomfortable with moody displays. This tension will always exist between them, but an acceptance of each other’s different comfort levels can help immensely.